The Manitoba Historical Society is accepting nominations for the Lieutenant Governor’s Award. The award recognizes people interested in the preservation and promotion of the province’s history. The Society’s Gordon Goldsborough says nominations are open to anyone. 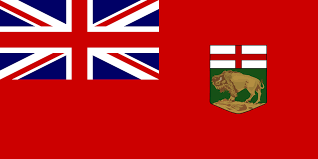 The award is intended primarily for people serving in the promotion of Manitoba’s history. Anyone who’s done things like writing books, various art projects, running museums, anything that has an aspect of preserving and promoting Manitoba’s history would qualify.